Choosing the custom built route is a great choice for many homeowners. Whether you have a particular idea in mind or an awkward space that has precise measurements that only a custom built unit can fit. Custom projects are also super fun and always result into an unique and wonderful outcome. We always get to work with people that have great ideas for their home. 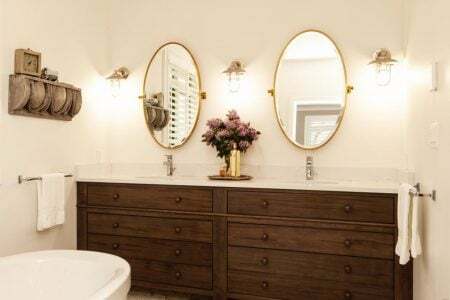 Our team is dedicated to bringing premium quality workmanship, honest communication and a great project management, which ensures each client is happy.Take a look at these beautiful custom vanities for the bathroom by Millbank Family Furniture. This bathroom features elegant accents and colours with a subtle farmhouse touch. Starting with the beautiful gold mirrors that bring such a delicate and classy feel to the room. The gold swing arm lamps on either side of the mirrors add a lovely farmhouse touch. The custom built vanity features a stunning white marble countertop and a dark wood vanity with lots of storage. The wide drawers provide lots of room to store all bathroom essentials. Last but definitely not least, the free standing bathtub is such a beautiful part of the bathroom and provides a spa like feel. Another beautiful custom project is this elegant black and white bathroom. Designed with classic and luxurious details in mind, this bathroom features a bold full length mirror. The mirror is functional yet extremely decorative, with its bold detailed black frame. 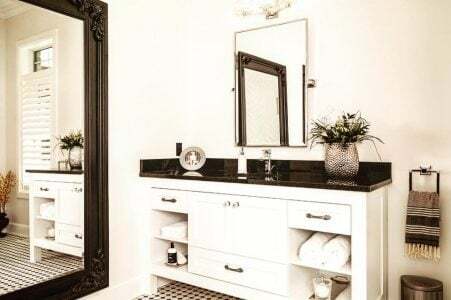 This space features a second mirror with a simple silver frame, a beautiful dark countertop to match the gorgeous black and white floor tiles, and a white custom built vanity. The vanity has an unique set of storage compartments that adds character to the bathroom. The silver hardware is a great choice for the black and white colour scheme, it adds such classy details to the room. It also allows the owner to add silver decorative pieces such as the picture frame and flowerpot shown in the picture below. This farmhouse style bathroom features a lovely shiplap accent wall and swing arm lamps on either side of the round mirror. The beautiful cream countertop contains dark earthy specks that pairs beautifully with the hardware choice, light fixture and mirror frame. 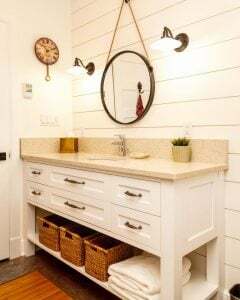 The custom vanity has bold details and compliments the shiplap accent wall. The vanity also features a bottom shelf storage which is a great place to add colour. As shown in the picture below, the shelf is used for decorative and functional pieces. What are your most valued features in your dream bathroom? Leave us a comment on our facebook page here, we’d love to hear from you. As a team, we value honest and clear communication throughout this process and we are eager to help out! We are devoted to provide the best experience from start to finish. Find out more about our custom project process here. 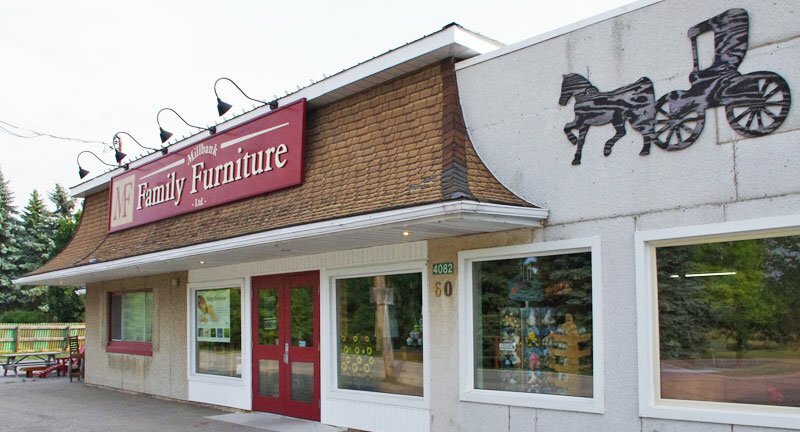 We specialize in custom projects for over 15 years and provide super quality workmanship.